Borough Market is a wholesale and retail food market located in central London. As one of the largest and oldest food markets in the city, it is a very popular destination. 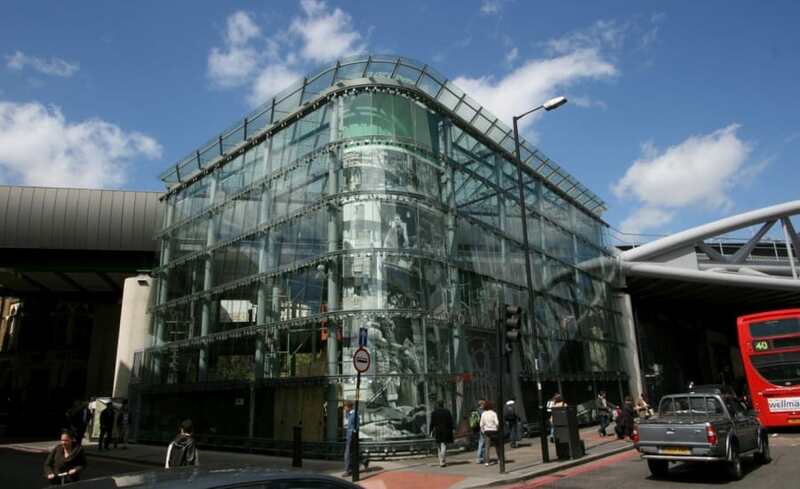 Borough Market have just completed a new extension to the market featuring a four story glazed entrance atrium. As with many glazed spaces, direct sunlight is always an issue. 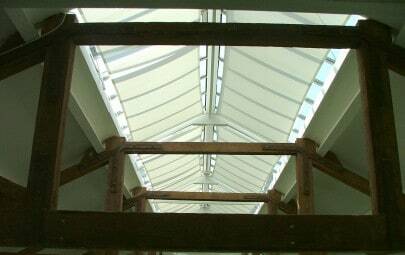 Rather than install a typical solar shade solution, Borough Market approached Architen with a design challenge. With the new extension being on a prominent intersection of two roads, Borough Market wanted to create an artistic, eye catching shade panel. This panel was to represent the markets 162 year history, while also reducing solar glare, keeping the space cool in the bright sun. 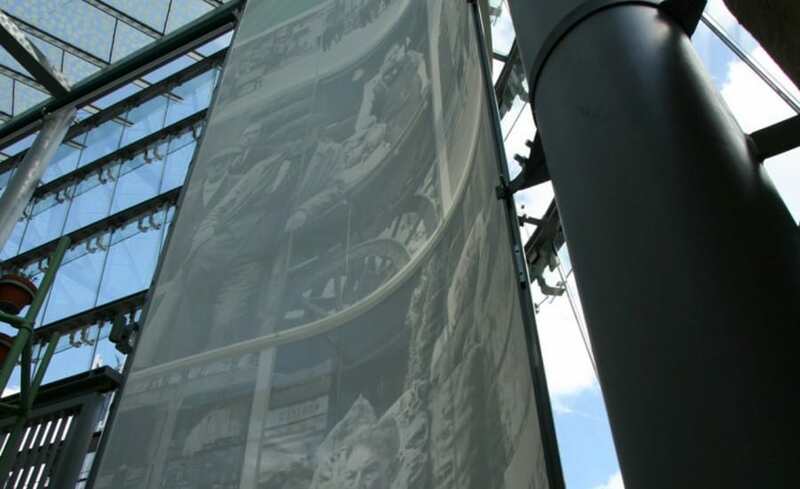 Architen had printed three sections of a very large black & white image of market traders from the 1850s. In our factory, we rolled out and welded together the fabric pieces to create one large panel. 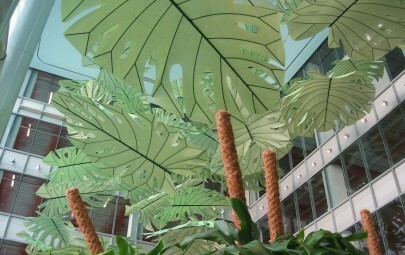 To frame and install the panel, we designed and manufactured a bespoke tensile fabric structure. The structure, measuring 12m x 5m, was specially designed to be clamped to the buildings existing steelwork. The frame has curvature which takes the shape of the corner of the building to an exact fit and match. 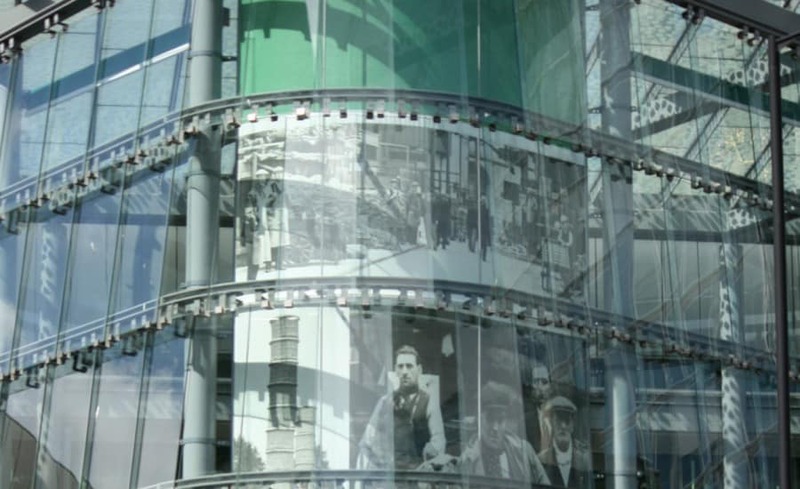 The new facade of the market was designed to breathe and small gaps between the glass panels allow fresh air to flow though the space. 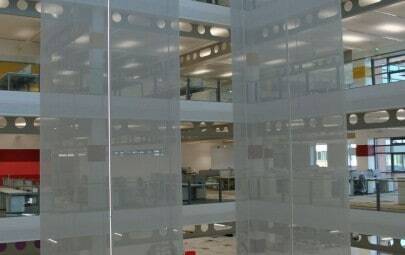 Because there is constant air flow through the building, the printed fabric panel and frame system was fully engineered as a permanent aluminium support structure. Engineering the structure keeps the fabric tight in its frame with no wrinkles and ensures it will withstand strong gusts of wind blowing through the building. Special thanks to Sherman Construction for their support with the project.